Every Saint loves the Panaghia. Sainthood is not understood without this Theotokophilia. It occurs because the Saints, after tasting the Love of God, communing of the Body and Blood of Christ, and experiencing the gifts of the incarnation of Christ, feel the need to give thanks also to that person who was the cause of this great joy. It is well known that the Saints are very sensitive and are therefore grateful for even the smallest gifts which they receive, and much more for the great gift of the deification of human nature, which came about in the Tomb of the Theotokos. She gave her flesh to the Son and Word of God for His incarnation. This is also the case with St. Gregory Palamas. However, the Saint felt love for the Panaghia also for other reasons. He was granted to see her in his life; he was her protege. 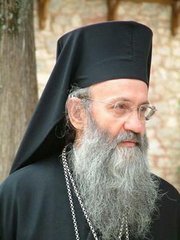 We shall give more details to demonstrate this truth, as his biographer Philotheos Kokkinos, Patriarch of Constantinople, describes them. The second circumstance which shows that his father’s prophetic words were actually fulfilled and the Theotokos was a wonderful sponsor, governess and guide, came from the period of his studies. At the beginning of his studies the Saint had difficulty in memorizing. Then he placed a restriction on himself not to come near the books and not to begin reading without first having knelt three time before the icon of the Theotokos, saying a prayer at the same time. When he did this every day he succeeded very easily in memorizing and reciting the lessons. But if he sometimes forgot to follow this rule even the recitation failed right away. At the same time, as Philotheos says, the Panaghia persuaded the emperor to be the guardian of the children and to assume all their personal expenses. Furthermore the emperor showed particular sympathy, for he invited them to come to see him and talked with them in a kind and loving way. This appearance of St. John the Evangelist, sent by the Most Holy Theotokos, was revealed by St. Gregory himself years later to his fellow-monk Dorotheos, later Metropolitan of Thessaloniki. It is characteristic that the Theotokos heard the prayer and assured him that, just as long ago, so also now and in the future, she would be his helper and defender, and moreover, that she was filling him with divine gifts. 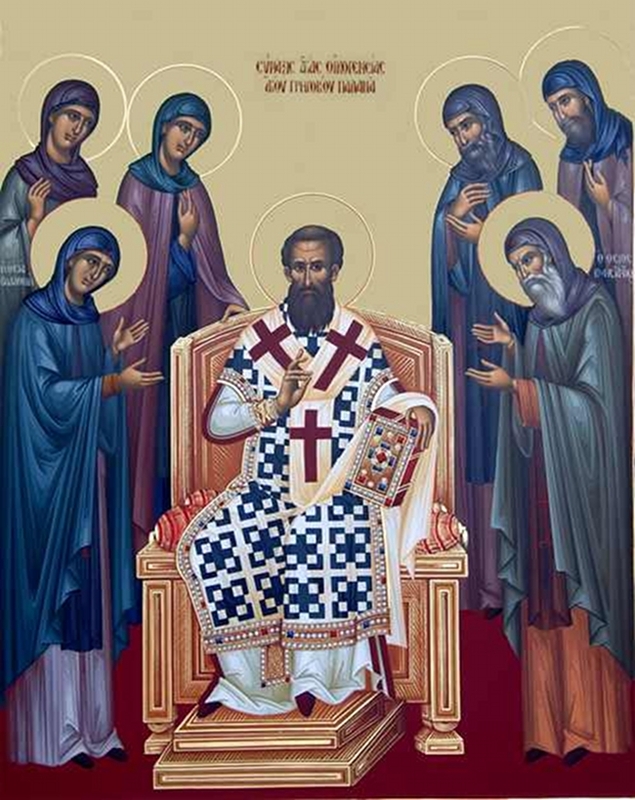 From what we have said it is clear that St. Gregory Palamas had a close relationship and communion with the Theotokos. All the things that he writes about her, which we shall see further on, are obviously not dry, intellectual thoughts and reasoning conjectures, but experiences of the Panaghia. This explains his great love for her. We can also see the progressive manifestation and revelation of the Theotokos. At first, through his father’s prayer, she took up his protection. Then she showed him clearly that he must trust in her, for she would protect him throughout his studies. Then, through John the Evangelist, she assured him that she would be his helper and protector, and finally she herself was revealed personally. Throughout his life the Saint was convinced that he had the protection and help of the Theotokos, and therefore he struggled with strength and courage, expounded the theology of the Church in an Orthodox way and defeated the heresies of his time.